Conventional mixing wisdom has always had it that a little bit of quiet before you mix can help you better zero in on the details of a mix. In fact, that's one of the tips in personal prepping for your mix as outlined in The Mixing Engineer's Handbook and Audio Mixing Bootcamp books. "Try to stay in the most quiet area that you can for as long as you can before you begin your mix. Concentrate on the sounds that you’re hearing and try to identify what they are and the direction they’re coming from. Studies have found that this can make your hearing much more acute." "Also remember that closing your eyes while mixing can sometimes improve your hearing by both lessening the distractions and allowing your brain to concentrate additional processing power on that sense." While this was mostly empirical knowledge, a new study by researchers at the University of Maryland and Johns Hopkins University have found that a temporary loss of vision does indeed improve your hearing. The findings were published in the peer review publication Neuron and found that the brains of adult mice could be rewired to compensate for vision loss by improving their hearing. Of course, anyone who has spent at a little time around Stevie Wonder knows how acute his sense of hearing is, as is that of all blind people. We didn't need a study to confirm that. 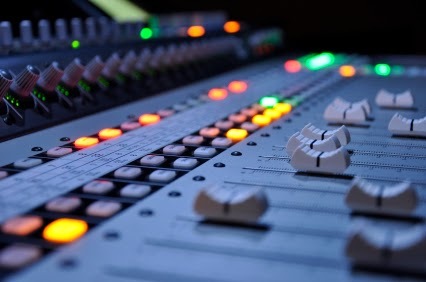 But what it does confirm is that by just sitting in a quiet dark room before you mix, or closing your eyes during a mix, can often allow you to zero in a things in a mix that you missed before. And lowering the lights in the mixing area has always been done for a good reason, whether we realized or not. Give it a try. Go to laboratoryequipment.com read a synopsis of the article. You can also read additional excerpts from both The Mixing Engineer's Handbook and Audio Mixing Bootcamp on the excerpts section of bobbyowsinski.com.